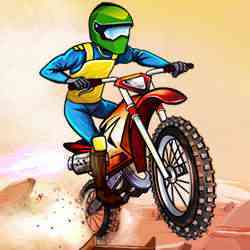 Adventure Biker If you can't get enough of the bike adventures on the road, Here is the Adventure biker game which takes biking experience to the next adventure level. Ride the bike on the risky way and prove your biking mettle. 4 bikes, 3 backgrounds and Nitro to choose from, makes your riding more thrilling.